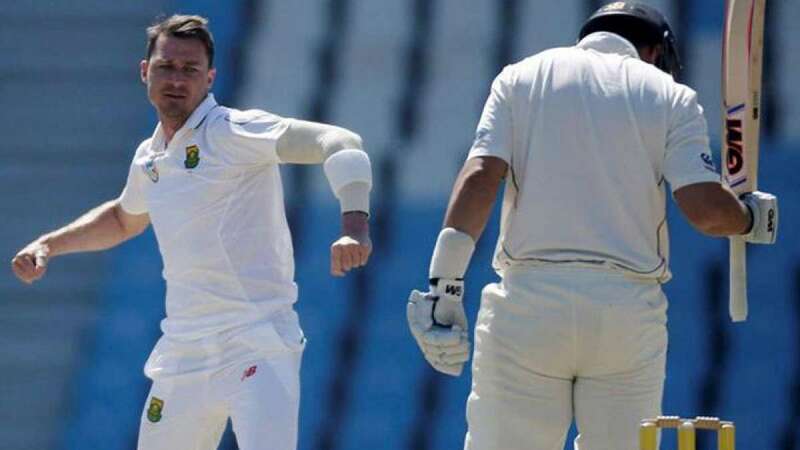 Cape Town : South African veteran pacer Dale Steyn may not take further part in the ongoing first Test against India due to a left heel injury which might force him to miss the next two matches of the series. Steyn landed awkwardly during his run-up in India's first innings in the post-lunch session. According to espncricinfo, he may not bowl again in this Test. The report also states that Steyn could be even out for 4-6 weeks, and possibly out of series. Steyn, 34, had not played in a first-class match since suffering a fractured shoulder in a Test in Australia in November 2016.